The Metropolitan Museum of Art is celebrating Chinese splendor with its Fall Exhibition, The World of Khubilai Khan: Chinese Art in the Yuan Dynasty. Over 200 works including sculptures, paintings, ceramics and textiles explore the art and culture of the Yuan Dynasty from 1215 through 1368. Many of these pieces, including recent archaeological discoveries, have never before been displayed outside mainland China. The exhibition is organized into four parts covering daily life, religious practices, the arts and the decorative arts. The detail in these pieces is simply amazing considering they are nearly a century old. For example, you can clearly see the detail in the armor and boots of the Military Official statute which greets visitors as they enter the exhibit. Even the cobalt blue of the ceramics looks as crisp as modern pieces in daily use today. 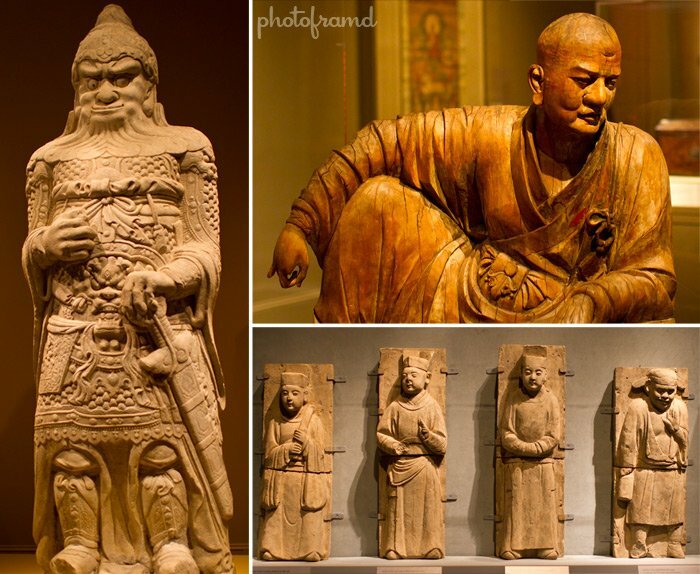 It is easy to see how Chinese art has influenced cultures worldwide. The World of Khubilai Khan will be on display at the Metropolitan Museum of Art from September 28, 2010 through January 2, 2011. It certainly looks like James Watt has done it again. Another fabulous and unique exhibition here assembled with a connoisseur’s eye. It’s a fantastic exhibit. It was wonderful to meet James Watt in person. He is so knowledgeable about this art period.